Leaders are faced with the on-going dilemma of maintaining long-term and sustainab le profitability, whilst having to meet the short-term gains demanded by investors. Here are a few insights into how you can lead more effectively in these challenging times. Change your mindset – instead of looking at the issue of how do you maintain long-term profitability or deliver short-term gains look at changing your mindset by changing one word. Change “or” to “and”. So, it becomes, how do you maintain long-term profitability and deliver short-term gains? Asking “and” instead of “or” opens up your thinking, the possibilities and creativity in identifying potential solutions. Learn continuously in your work – you cannot know everything you need to know to perform and achieve the results on a sustainable basis. With an accelerating rate of change the currency of what you do know has a shorter ‘shelf-life’ and is increasingly likely to become out-of-date and/or obsolete. So be open to learning from everyone and anyone, from outside your industry, wherever you might find that which can assist you. Make this part of how you work, focusing on those things which are important and relevant whilst keeping a watching brief on other things. Adopt an ‘investment approach’ – look at what you want to achieve in the long-run and use this to guide what you need to do in the short-run. You need to have clear fundamental principles to guide you and your people in how to do this, without proscribing what they need to do in doing so. Look for simplicity – this is not to say you want to make things simplistic, rather you want to understand the essence of what you have to deal with. Once you understand this then adopt and adapt what you need to do to be effective. thirdly, bring people along on this journey – both internally and externally (including customers, suppliers and other stakeholders) – to make it a success. Create a strong leadership culture – leadership is a choice, not a position, and occurs at all levels in the business. You want all leaders to be able to articulate and demonstrate what is expected in terms of business thinking and thought, how to drive results and outcomes, caring for people and holding them accountable, and the key leadership behaviours expected and required. Be comfortable with ambiguity – the world is not black and white, but rather consists of many shades of grey. As leaders we need to be able to accommodate this, and in doing so be flexible in the decisions and judgements we make, and to do so especially when we lack all the information we would like to have. Proposed investments that support business sustainability. Strength – a person’s capacity to make things happen with abilities and force of will. When people project strength, they command our respect. Warmth is the sense that a person shares our feelings, interests, and view of the world. When people project warmth, we like and support them. 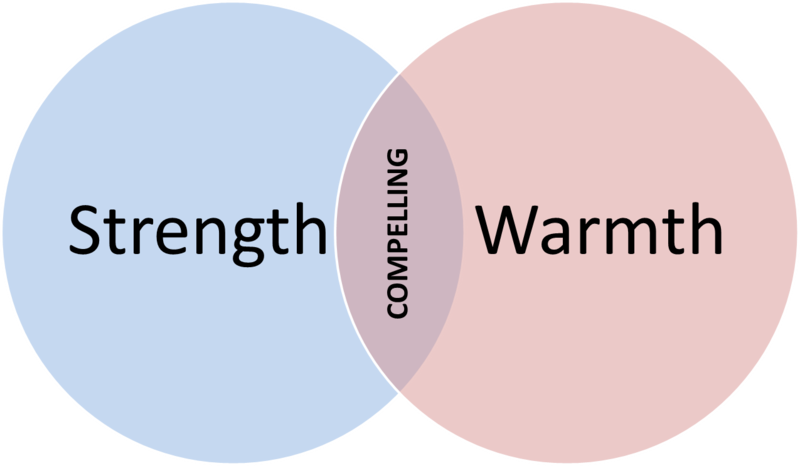 People who project both strength and warmth impress us as knowing what they are doing and having our best interests at heart, so we trust them and find them persuasive. They are compelling. Being both is not as simple as it seems, as strength and warmth are in direct tension with each other. Most of the things we do to project strength of character – such as wearing a serious facial expression, flexing our biceps etcetera – tend to make us seem less warm. Likewise, most signals of warmth – smiling often, speaking softly, doing people favours – can leave us seeming more submissive than strong. Be level-headed = this is about being self-composed, sensible, having common sense and sound judgement. You feel comfortable to invite this person to a very difficult conversation knowing you will get a balanced view and a contextualized conversation. Respectful straightforwardness – you provide feedback in a direct, frank and constructive manner; similarly you are a good listener, listening to ensure that you understand the other person first rather than being understood yourself first. Courage and toughness – you demonstrate the strength of character and conviction to ensure consistency and fairness in a situation, even if the course of action you take is unpopular or unwelcome. Open minded – you are open to new ideas, no matter who or where they come from; at the same time you avoid adopting biased views and don’t carry past baggage into the future with you. Self-control – you exercise good self-control at all times, and don’t let yourself become hijacked by your emotions. Non-judgmental – you listen and discuss matters without pre-judging the people or the situation. Conscientiousness – you do things thoroughly and well. You appear efficient, organized and dependable; in doing so you consistently deliver reliability. Forward looking – you look beyond the past and today, and you do not let them hold you back, with a focus on the future and how you can influence it. Assertive, not aggressive – you are able and willing to stand your ground and make your point without, in doing so, diminishing the other person or their arguments. Being a safe haven – as a compelling person others are comfortable in talking with you openly, frankly and honestly. They see that you will give the best advice they can, even if you do not like it. How do you rate yourself on these ten aspects of being a compelling person? What can you do to improve? Share this with your team and reports and use it a basis for opening useful and insightful individual and team discussions and become more compelling yourself in doing so. To be visible to the senior management and executives in your organization you need to be develop and share a profile of who you are, what you have to offer and how you could fit a more senior role. There are many ways to do this, but the most effective way is to do so from the perspective of your senior managers and executives. To gain visibility, relevance and acceptability with them it is not about what they can do for you but what you can do for them. Have relevant business conversations – if you want to have significant influence on business decision making and get included in shaping the future you need to be actively involved in the business conversations that are being held. Don’t just sit there and listen, making mental comments to yourself. Listen, and when you speak make sure your discussion and contribution is relevant and meaningful, don’t talk for the sake of talking. • Proposed investments that support business sustainability. Demonstrate commercial awareness and care – business leaders want people who have business acumen and understand that a business has to remain profitable to be a going concern. Demonstrating commercial awareness and understanding of this, especially how revenues and costs can be improved, is of interest and relevance to senior leaders and will help you garner their respect. Working effectively – to stand out you need to not only be efficient in what you do (doing things right), but you need to be effective (doing the right things). Being efficient but ineffective is akin to working well on things that don’t add value – in other words you accelerate failure and problems. Becoming irrelevant has a lot to do with finding more effective ways to do inefficient things. So become relevant by doing the right things (being effective) efficiently. Demonstrate reliability – being reliable is about constantly performing at the right level and being able to do so when meeting unexpected challenges. To be reliable you need to do what you have said you will do, deliver on your promise, and to do so repeatedly. Doing this produces trust – and senior leaders need to trust you before they will give you opportunities to grow and succeed. Be resilient – in times of accelerating change your ability to manage and adapt in tough times and lead through uncharted waters is key. You need to be able to work through problems, keep your emotions and self in control, and deal with the situations you encounter. This includes staying calm, seeking support and advice, and leading others through difficult time so they can be more resilient themselves. Demonstrate good judgement – you need to be self-confident (but not arrogant), in touch with reality and understand your business well. In doing this you also need to understand the context of the situation you are dealing with; if you are not sure then get input from those who can provide ideas, insight and experience. Don’t let your ego take control. Leadership is a dish best served shared! Demonstrate collaboration and show peer respect – collaboration is key for leaders to be both individually and collectively successful. If you place yourself above others you will, eventually, lose credibility and relevance to them. Don’t become a ‘hostage of yourself’. Demonstrate that you can work with people around you. How well do you do in these areas? Even more important, how well do others think you do? This is probably more important as it is their perception which is what matters. Don’t forget being a leader is not just what those above you think of you, but what your peers and reports think. To find out more how you can do this and develop a structured programme to deliver measurable growth in leadership effectiveness, and in doing so raise organizational performance and create further career opportunities for yourself, contact Andrew Cooke (MGSCC) at andrew.cooke@business-gps.com.au or call Andrew on +61 (0)401 842 673. As an accredited Marshall Goldsmith Stakeholder Centered Coaching (MGSCC) executive coach, my role is to help successful people achieve positive lasting change in behaviour. Many embrace the opportunity to change, and most are aware of the fact that behavioural change will help them become more effective leaders, partners, and even family members. A few are not. 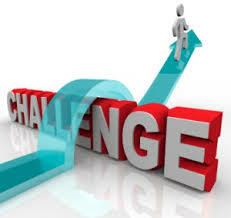 I would like to share some of the insights as to why people find changing themselves so hard! My process of helping clients is straightforward and consistent. I interview and listen to my clients’ key stakeholders. These stakeholders could be their colleagues, direct reports, or board members. I accumulate a lot of confidential feedback. Then I go over the summary of this feedback with my clients. My clients take ultimate responsibility for the behavioural changes that they want to make. My job is then very simple. I help my clients achieve positive, lasting change in the behaviour that they choose as judged by key stakeholders that they choose. If my clients succeed in achieving this positive change – as judged by their stakeholders – I get paid. If the key stakeholders do not see positive change, I don’t get paid. Meaningful behavioural change is hard to do. It’s hard to initiate behavioural change, even harder to stay the course, hardest of all to make the change stick. What do you want to change in your life? It could be something major, such as your weight (a big one), your job (big too), or your career (even bigger). It could be something minor, such as changing your hairstyle or checking in with your mother more often or changing the wall colour in your living room. How long has this been going on? For how many months or years have you risen in the morning and told yourself some variation on the phrase, “This is the day I make a change”? How’s that working out? In other words, can you point to a specific moment when you decided to change something in your life and you acted on the impulse and it worked out to your satisfaction? These three questions conform to the three problems we face in introducing change into our lives. We can’t admit that we need to change—either because we’re unaware that a change is desirable, or, more likely, we’re aware but have reasoned our way into elaborate excuses that deny our need for change. In the following pages, we’ll examine—and dispense with—the deep-seated beliefs that trigger our resistance to change. We do not appreciate inertia’s power over us. Given the choice, we prefer to do nothing—which is why I suspect our answers to “How long has this been going on?” are couched in terms of years rather than days. Inertia is the reason we never start the process of change. It takes extraordinary effort to stop doing something in our comfort zone (because it’s painless or familiar or mildly pleasurable) in order to start something difficult that will be good for us in the long run. We don’t know how to execute a change. There’s a difference between motivation and understanding and ability. For example, we may be motivated to lose weight but we lack the nutritional understanding and cooking ability to design and stick with an effective diet. Or we have understanding and ability but lack the motivation. Our behaviour is shaped, both positively and negatively, by our environment—and a keen appreciation of our environment can dramatically lift not only our motivation, ability, and understanding of the change process, but also our confidence that we can actually do it. What makes positive, lasting behavioural change so challenging – and causes most of us to give up early in the game – is that we have to do it in our imperfect world, full of triggers that may pull and push us off course. Achieving meaningful and lasting change may be simple – simpler than we imagine. But simple is far from easy. And being aware of that is the first step in helping you change yourself successfully. Share this insight with your team, reports and colleagues.